Pedestrians injured by negligent drivers may be able to recover compensation. Call us today for a free consultation. Millions of people around the world walk on sidewalks and roadways everyday, but drivers don’t always share the road safely with pedestrians. The National Highway Traffic Safety Administration (NHTSA) reported that 4,743 pedestrians were killed in auto-pedestrian accidents in 2012 alone. Because of the size and force that a vehicle generates, even at low speed, the damage caused by an auto-pedestrian accident is catastrophic. Unfortunately, pedestrians don’t always receive the compensation they deserve when they are injured in an accident. If you or someone you love was injured in a pedestrian accident, the experienced Nashville pedestrian accident attorneys at Whitfield, Bryson & Mason can help. Most auto-pedestrian accidents occur because of negligent driving behaviors. 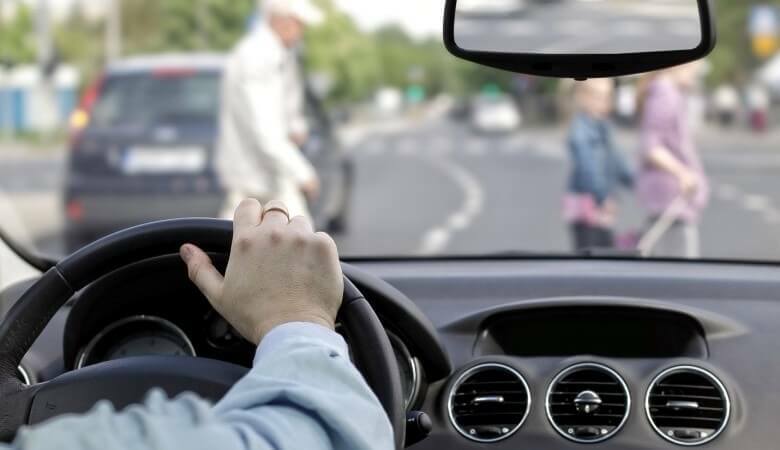 While some drivers might not realize how dangerous their behavior is, even small acts like taking your eyes off the road to talk to a passenger can pose a serious risk to pedestrians. Driving under the influence – Drivers who drive under the influence of drugs or alcohol have delayed reaction times. This means they may not be able to react in time to avoid colliding with pedestrians. Failure to obey traffic lights and signs – Traffic lights and signs are designed to help all travelers, whether pedestrians or motorists, drive safely. When drivers ignore these signals, they put pedestrians at risk. Not checking for pedestrians before reversing – Even a minor parking lot accident could be deadly for a pedestrian. Drivers who aren’t aware of their surroundings are essentially driving blind, and this is extremely dangerous. Speeding in residential areas and school zones – Areas like school zones and suburbs can be very dangerous for pedestrians, specifically children. Drivers need to be extra cautious when driving through these areas to prevent accidents. Texting while driving – Using a cell phone while driving is one of the top causes of pedestrian accidents. This behavior takes the driver’s hands off the wheel, eyes’ off the road, and mind off the task of driving. While pedestrian accidents can happen to anyone, children and the elderly are particularly at risk of being involved in one of these accidents. Because of their small size, drivers often do not see children, and because they are young, they are not as experienced with traffic rules. The elderly are at risk for pedestrian accidents because they are usually unable to move out of the way quickly if needed. Because pedestrians have no protection against motor vehicles, accidents often involve catastrophic injuries and can even lead to death. The Center for Disease Control and Prevention (CDC) estimates that a pedestrian is injured in a motor vehicle accident every seven minutes. Taking safety precautions like wearing bright clothing or obeying traffic signals cannot completely protect your from the risk of being hit by a vehicle. Being involved in a pedestrian accident is an incredibly traumatic experience. The people responsible for causing your accident might try to take advantage of your shock, so it’s important to know what to do after an accident. After a pedestrian accident, if you are able, call the police and paramedics. If you are unable to call for help yourself, wait for help to arrive. Even if you feel like you are uninjured, do not leave the scene until emergency services arrive. Do not a make a statement to anyone until you talk to an attorney including the police, other parties, witnesses, and especially insurance companies. You may think you can successfully negotiate on your behalf with the driver’s insurance company, but insurance companies only have one objective: mitigate or avoid payouts. Even if the insurance company claims they want to help you, they might offer a lowball settlement that doesn’t cover the full cost of your expenses. With an aggressive pedestrian accident attorney by your side, you can obtain full compensation for your injuries including medical expenses, lost wages, lost earning potential, pain and suffering, and property damage among others. In certain cases, you may even be able to collect punitive damages. The attorneys at Whitfield, Bryson & Mason know how challenging a pedestrian accident can be. From severe injuries to financial burdens, you might be unsure where to get help. We will try to help you recover compensation even if the driver who hit you was uninsured or underinsured through your own Uninsured Motorist Insurance. Call us today for a free consultation.